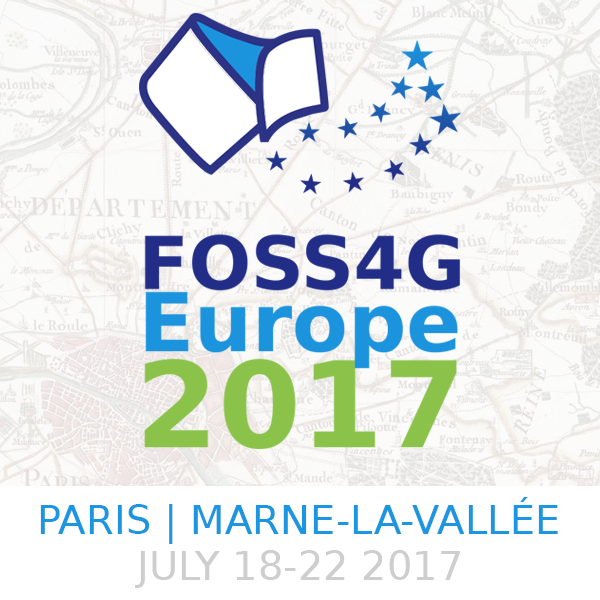 Please help us to spread the word about the FOSS4G Europe 2017 event on your website, blog and social media. Show your support by adding a FOSS4G web badge to your own website or profile, and be sure to include a link back to our website. Thank you ! The conference logo and related branding material is available for download and use without any modifications in the promotion of the FOSS4G Europe 2017 event. The FOSS4G Europe 2017 logotype is the core element of the event visual identity. It shows the traditional FOSS4G ribbon with its right-hand side drawn with the twelve stars of the Flag of Europe. Feel free to use the following markup and image to link to our website. You can also download the full resolution logo to create your own image or badge, as long as you do not alter the shapes and the colors of the original image. The QR Codes bellow all encrypt https://europe.foss4g.org/2017/ URL and should open it in a web browser when scanned with an appropriate application installed on your smart phone.